Gift time can leave the cleverest of us at a loss for something new and unique to present. Need a good, safe, always appreciated gift? Just about everyone loves to receive a fabulous bottle of wine or champagne during the holidays. The problem is how do you make that perfect bottle stand out and look special? Too often your nice bottle, as a Christmas gift or host/hostess gift, just gets lost in the mix. It can look like any other bottle of wine. In fact, if not careful, the host or hostess can end up losing that gift when distracted by entering guests or setting up for the party. 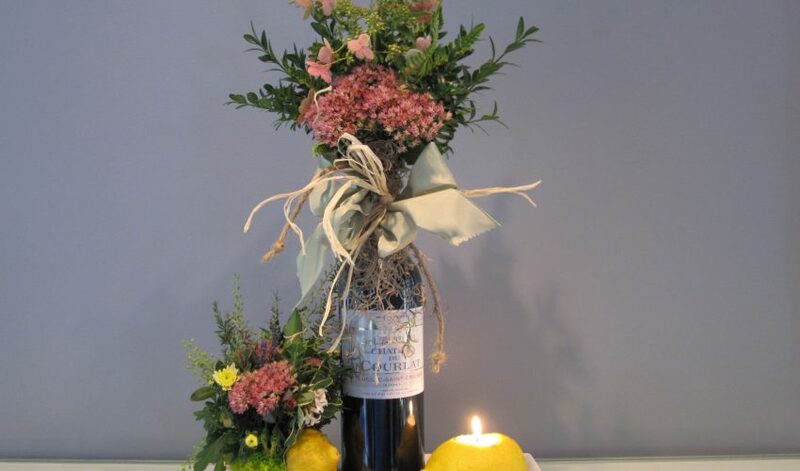 Many times the host or hostess may have never seen your special gift at all! This week’s sMARt tip is all about making sure that special bottle gets the attention it deserves. So, this year when everyone is eating, drinking and being merry, you can feel confident that the special bottle you purchased will no doubt be enjoyed — along with your sentiments!